Recently, we discussed the risks associated with taking wrongly labeled dietary supplements — specifically, the potential for damage to your liver. But liver health isn’t just a concern for people who take supplements. As a recent study shows, certain diabetes drugs may also improve or worsen liver-related outcomes, with potentially dramatic effects on your health and longevity. 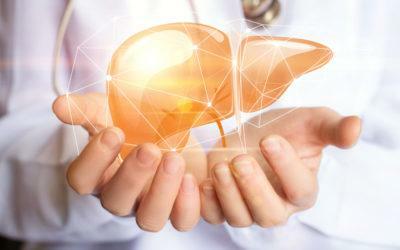 The study, presented in October at The Liver Meeting 2017 in Washington, DC, involved at 458 people with nonalcoholic fatty liver disease (NAFLD). As noted in a Medscape article on the study, it’s estimated that about 58% of people with Type 2 diabetes have this condition. Out of the study’s participants, 305 had Type 2 diabetes, while 153 didn’t have diabetes. Researchers were interested in looking at which drug treatments the people with diabetes were taking, and comparing different drugs with liver-related outcomes. During the study’s follow-up period of almost six years, there were 84 deaths or liver transplants, along with 90 cases of hepatic decompensation (a severe form of liver disease) and 42 cases of hepatocellular carcinoma (the most common form of liver cancer). Only 6 deaths weren’t related to liver disease. People with diabetes were more likely to die during the follow-up period than those without diabetes, as well as to develop severe liver disease and cancer. But not at an equal rate — those who took metformin were substantially less likely to die or require a transplant, with an estimated risk reduction of 67% after adjusting for HbA1c level (a measure of long-term blood glucose control) and other factors that could affect these outcomes. In contrast, participants who took sulfonylureas — a family of diabetes drugs that includes glipizide (brand name Glucotrol), glyburide (Micronase, Glynase PresTabs, and DiaBeta), and glimepiride (Amaryl) — were estimated to be about five times as likely to die or need a transplant as a result. Taking insulin wasn’t associated with any change in liver-related outcomes. The main lesson from this study, according to its researchers, was that having diabetes makes liver-related outcomes worse if you have NAFLD. But it also showed that what drug you take for your diabetes may have an effect on these outcomes, raising or lowering your already elevated risk of liver disease, needing a liver transplant, or death. What’s your take on this study — do you have NAFLD, or have you ever been told you might have liver disease? Has your doctor ever discussed the liver-related risks of any drugs you take for your diabetes, or for any other condition? Would you be interested in changing your drug treatment to help limit liver-related risks, or are there more important considerations for you when it comes to your diabetes treatment? Leave a comment below!